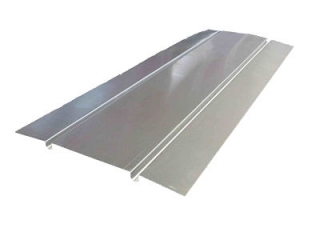 Aluminium heat spreader plates are 390mm x 1000mm diffiuser plates suitable for joist centers of 400mm. Spreader plates are laid across traditional joists and fixed in place using a hand stapler. Multi-layered barrier pipe is fixed in the grooves of the plates, insulation is placed in the void below the plates to minimise downward heat loss and dissipate the heat even across the floor. This product is designed for use with 15mm or 16mm pipe.